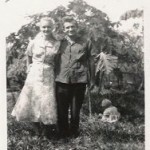 Joe and Millie came to Venezuela in 1953. They helped break down the Yanomamö language and were part of the team that gave them an alphabet. 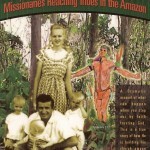 In 1973 they began working on the Yanomamö Bible translation. It was finished in 1984 and presented to the people. In 1990 Joe co-founded Misión Padamo with Bautista Cajicuwa (Shoe Foot, from the book Spirit of the Rainforest by Mark Andrew Ritchie). 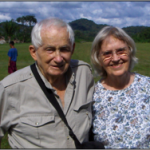 Joseph G. Dawson went to be with the Lord Thursday, March 17, 2011 in Coshilowäteli, Amazonas, Venezuela where he was a missionary to the Yanomamö Indians for over 57 years. Joseph was born February 29, 1920, son of the late Hayward and Grace Cain Dawson in Linden, Fauquier Country, VA. He served in the infantry during World War II attaining the rank of Staff Sergeant and received the Purple Heart. Millie continues to joyfully serve the Lord with MPAS in Coshilowäteli.